Wedding outfits ladies always impose strict requirements, because this is the most important dress in the life of every woman. But when it comes to wedding attire for pregnant women, requirements increase a hundredfold! Wedding dresses for pregnant women are made taking into account features of a figure in the expectant mothers. Tight and uncomfortable outfit is unacceptable, even if the pregnancy is quite small and the tummy is not yet pronounced. Have to forget about the constricted corset and make a choice in favor of comfortable dresses. Read more about wedding dresses with long trains. 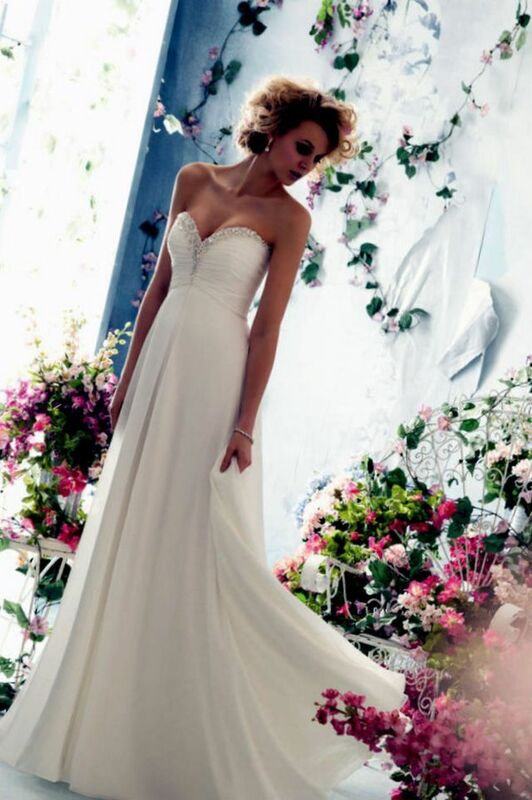 Flowing model with a high waist line – perfect for pregnant brides. 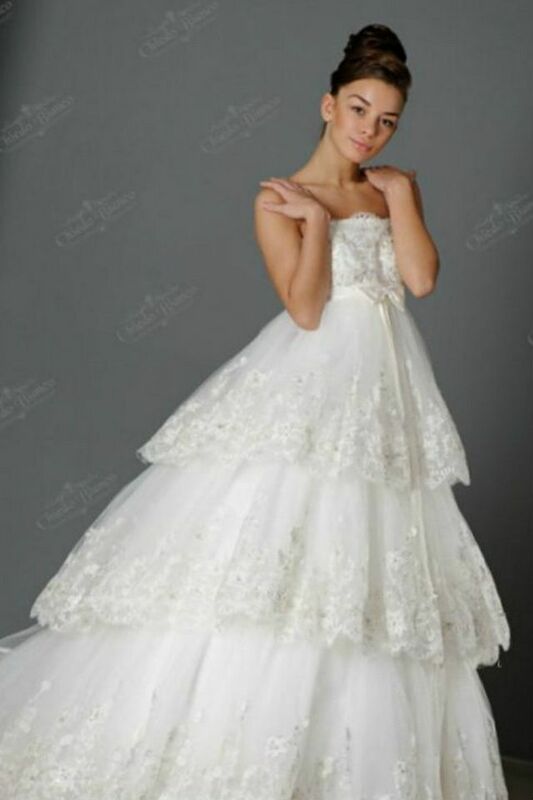 Every year famous designers present their collections in charming wedding dresses for pregnant women from the most delicate and pleasant to the touch fabrics: silk, satin, cotton. Such patterns gently smooth out the silhouette and highlight the natural beauty of the expectant mother. 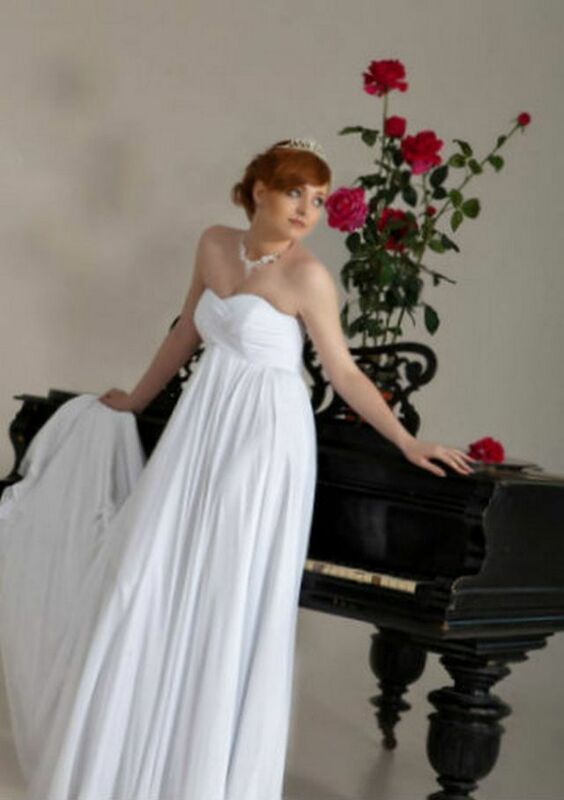 Carefully chosen wedding dress for pregnant ledies will help hide the roundness of the figure, because not all brides want to focus on the tummy. In this case, choose a model with volume decor on the waistline. Romantic bows, ruffles and light pleats draping to hide the pregnancy for a small period of time. Open cleavage, artful embroidery along the top edge of the dress, bared shoulders are profitable will put emphasis on Your figure. 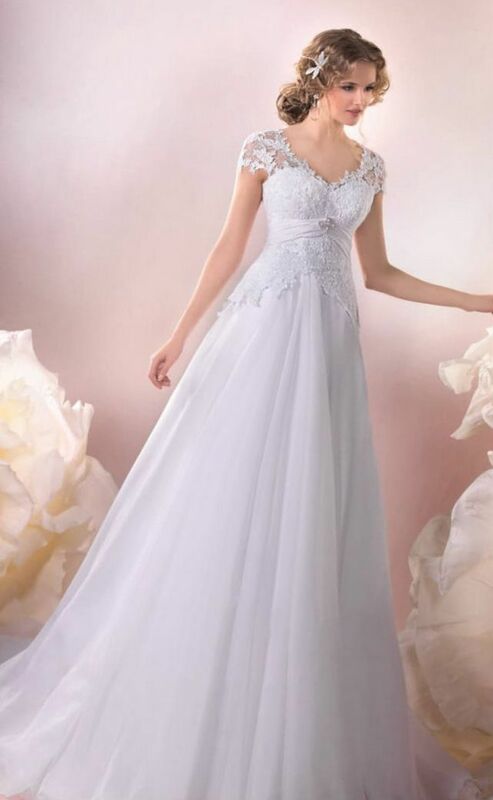 Do not forget about stylish additions to wedding dresses: elegant Bolero, exquisite veil and exquisite gloves will be appropriate to look at any gestational age. The expectation of the baby is an additional reason to create a feminine and bright image of the bride, because a pregnant woman worthy of universal admiration. Select among the many photos, what You most like.